Roger Craft, 76, of Plant City, passed away on March 28, 2019. Graveside Services will be held at Florida National Cemetery in Bushnell, April 17, 2019 at 1:00 p.m. In lieu of flowers contributions can be made to St. Clement Catholic Church General Fund 1104 N. Alexander St., Plant City, FL 33563. John Thomas Layton Sr., 73, born in Plant City, passed away March 30, 2019, in Winter Haven. Survived by wife Shirley, daughter Cindy Young (Bruce), son John Layton Jr. and grandson Jared Young. Donations can be made to LifePath Hospice. Norman L. Wright, 83, of Valrico, born on Dec. 16, 1935 in Tampa, entered into eternal rest on April 6, 2019. Kelly Earlise Speer, 39, went home to be with her Lord and Savior, Jesus Christ, on March 22, 2019 in Los Angeles, California. Kelly grew up in Plant City, Florida and graduated from Plant City High School. She earned a Bachelor of Arts degree in Accounting at the University of Florida. Kelly later earned an MBA and a Juris Doctorate from Stetson University. Kelly was a practicing attorney in her office in Plant City, Florida, Kelly E. Speer, Attorney at Law LLC, until 2013. Kelly is preceded in death by her maternal grandparents, Ulma and Doris Young, her paternal grandfather, Douglas N. Speer, and her beloved companion, Dr. Aaron B. Roush. She is survived by her parents, Terry & Kathy Speer, her paternal Grandmother, Lorraine Speer, Aunts and Uncles: Ken & Celia Speer, Bobby & Tracee Rhoades, Tannis Willaford, Ed and Carol Tinsley, her cousins and a host of loving family and friends. A memorial service is planned for Saturday, April 13, 2019 at 11 a.m. at the Plant City Church of God, 2103 Mud Lake Road, Plant City. Family will greet friends at 10:15 a.m.
Stephen Alan Pratt, 69, of Plant City, born on Oct. 22, 1949, entered into eternal rest on March 30, 2019. Claudia M. Rye Walters, 97, of Plant City, passed away on March 27, 2019. A graveside service will be at 10 a.m., Tuesday April 16, 2019 at Oak Hill Burial Park, Lakeland. 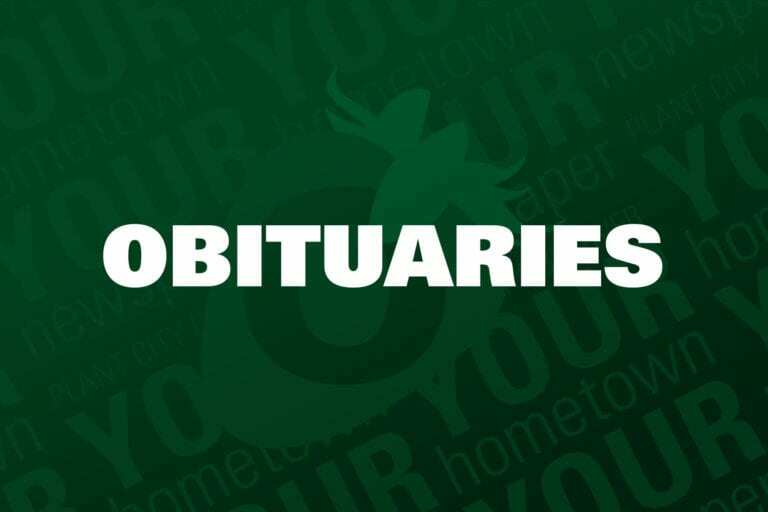 Mary Helene Kinman, 85, of Plant City, passed away on April 7, 2019. Johnny Robert Bryant, 90, of Dover, born on Feb. 1, 1929 in Thonotosassa, entered into eternal rest on April 5, 2019. Louis G. Jaudon, 63, passed away April 5, 2019. He was a lifetime Florida resident. He was preceded in death by his father, Ira J. Jaudon, mother, Frances P. Jaudon and brother, John I Jaudon. He is survived by his guardians, David and Katherine Jaudon, many other nieces and nephews, and many loving care givers and friends from Sunrise Community of Polk Co., Inc.
A memorial service was held at Wells Memorial and Event Center, 1903 W. Reynolds St., Plant City 33563 on April 10, 2019.